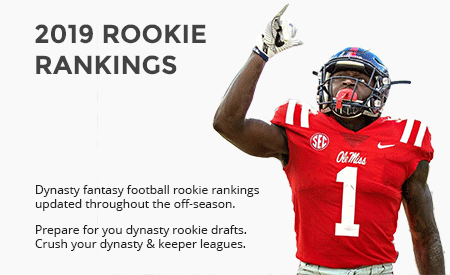 The 2019 Rookie MFL Draft data will become be available in May of 2019! This Dynasty Rookie ADP data is gathered from actual live rookie drafts in confirmed dynasty leagues on MyFantasyLeague. These trades provide a valuable perspective into the real-world value of rookie players. 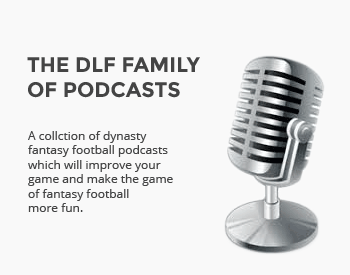 Since rookie-only drafts do not run year-round, MFL rookie draft data can only become available once rookie drafts begin. Some of these drafts incidentally include veteran and devy players. Those picks have been filtered out, potentially creating some statistical anomolies in the data. 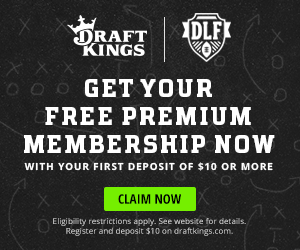 The 'Drafted' numbers may vary due to players having been previously acquired in devy drafts and are therefore already on some rosters at the time of the rookie draft. Sorry, there is no ADP data for this time period or selected filters.